The Eagles are suing the owners of a Mexican hotel named Hotel California, claiming it’s capitalizing off the band’s hit song of the same name. 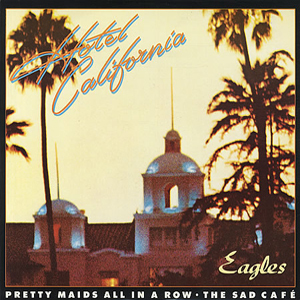 The band filed a federal trademark infringement lawsuit [on May 1] against the U.S.-based owners of Hotel California in Todo Santos, a town on the Pacific Coast near the southern tip of Mexico’s Baja California Sur. “Through advertising targeted to U.S. consumers, and in-person communications, Defendants lead U.S. consumers to believe that the Todos Santos Hotel is associated with the Eagles and, among other things, served as the inspiration for the lyrics in ‘Hotel California,’ which is false,” writes attorney Laura Wytsma.